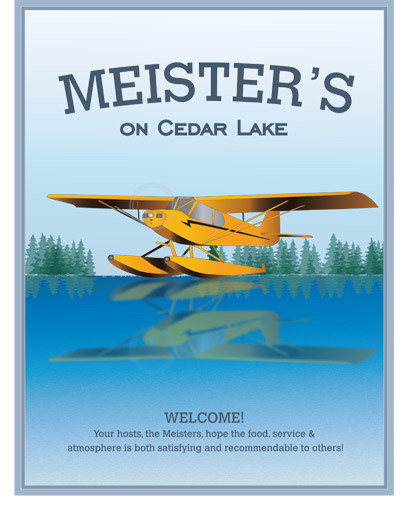 At age 24, Bernie Meister turned a small lakeside bar into what is now a popular dining destination with great food and amazing views. Family run and famed for it's popular "Meister Burger", fresh cut fries, perfectly cooked Prime Rib and renowned Friday Night Fish Fry. Come by car, boat or sea plane and join us. 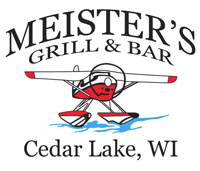 Meister's is sure to be a pleasurable dining experience. My wife and I fish Cedar Lake many times during the spring and summer. We always stop and have the Meister burger and fresh cut fries. It is the best burger around and the staff is awesome. This place is great. I'll be back soon! The prime rib sandwich is fantastic. Don't miss the cheese curds! The food is delicious, the staff is welcoming and friendly, the service is right on, and the view is breathtaking. Family owned, family served, family cooked and prepared, and family friendly. It is a must have dining experience. The Fish Fry on Friday and the Prime Rib on Saturday are two of my favorite meals along with the best tasting Cheeseburger served any day. Excellent Friday night fish fry ..Saturday night they have prime rib, Drinks are always ice cold and the prime rib sandwich is a must The staff is great the place is very clean and the view is greaaatttt. GO !!!!!!!!!! You will not be disappointed .. Fly in for a great meal. Please note that we don't take reservations. We are first come, first served. If you have a party larger than 8 people, we will do our best to accommodate you, however we are a small establishment and group seating is limited. Though we cannot reserve a table, we will try to plan for your your arrival as much as possible if you call ahead. We suggest coming early if you have a group for the fastest seating and serving!